I usually just quilt my quilts with all over designs. I'm just not very fancy. 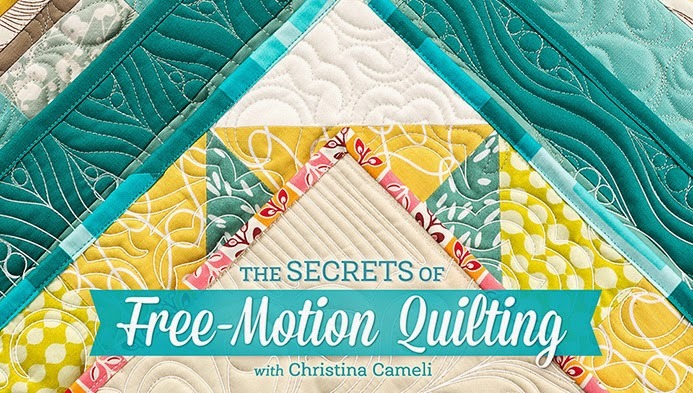 I don't enter my quilts in shows or anything, it's not something that has felt important to me so far. I like finishing my quilts so I can give them to people I love, and I like helping other people do the same thing. 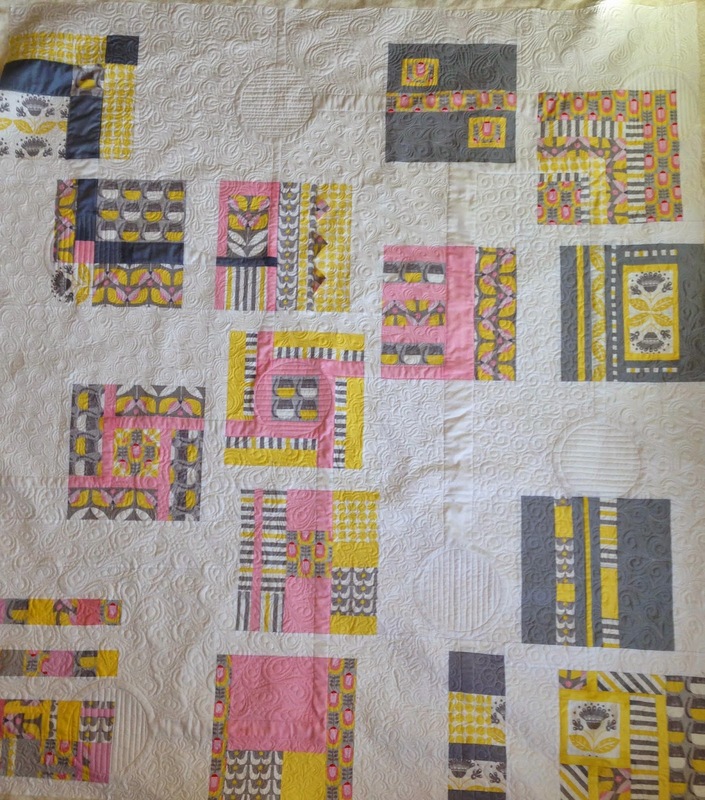 So when I agreed to quilt one of the Monaluna challenge tops for the Portland Modern Quilt Guild I thought I would just do something all over. Right? Uhhhhh....wrong. Suzanne had pieced these blocks from guild members in this really unique way, lining up strips of the same print in different blocks. 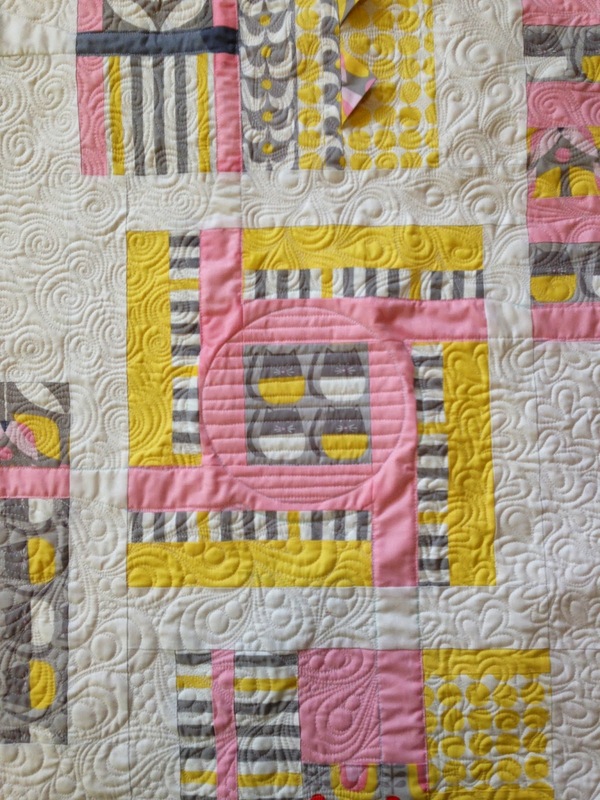 "I was hoping the quilting could highlight that" she told me. I felt stumped. It felt out of my league. It felt like a job for a longarmer. I thought about it for two weeks. And then I got busy. I didn't get great pictures before handing it off for binding (that made me feel like a princess!) but you can maybe see a little of the quilting above in the negative space. I left these "pipes" that joined the strips unquilted, so they would pop forward, and I made some circles connecting the pipes. 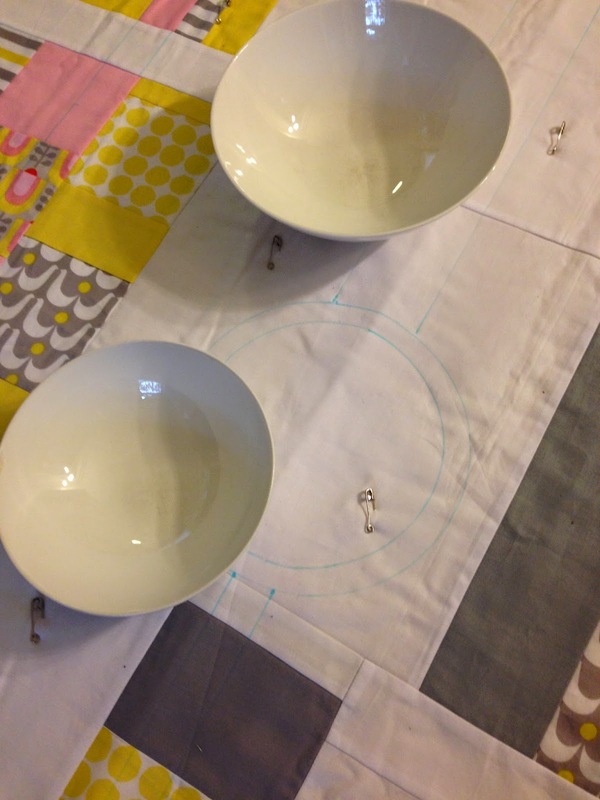 I traced around bowls for that part. Here you see my high tech tools. In the different sections created by the pipes I used different all over patterns. I got a great picture of one section in the sunlight. I'm grateful for being stretched a little out of my comfort zone. Thank you PMQG and Suzanne! 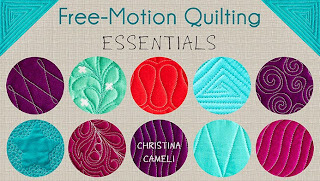 It's wonderful how a community of quilters improves everyone's skills in ways like this. I doubt I'll get this fancy very often but I know I can when I want to! I really like this combination of paisley and pebbles. It is gorgeous! You did a beautiful job! 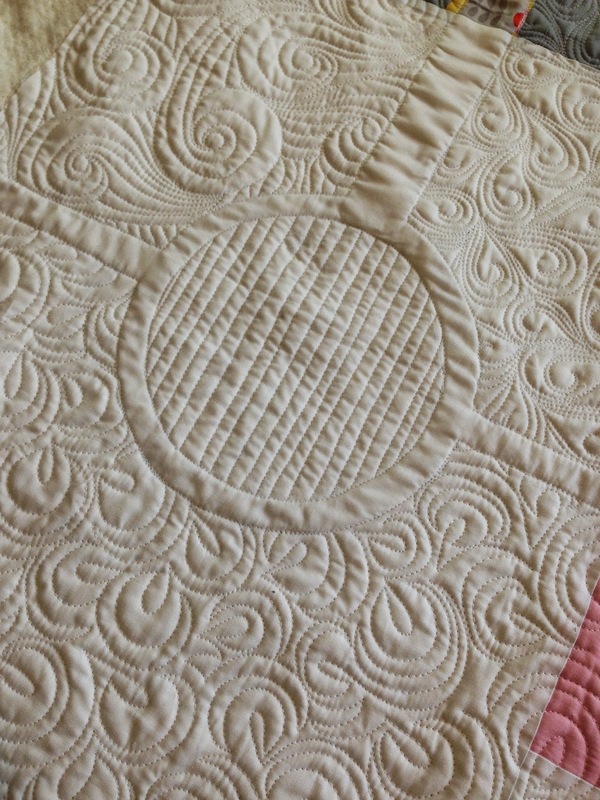 Fabulous quilting on a great top! I love your "bubbled paisleys" (for a lack of better description), I've not seen that design before. Beautiful work! I love combining motifs on a quilt top! This looks great! Really nice, Christina! You did a great job! Really nice job Christina. How did you get your lines so straight for the pipes and inner bits of the circles, as I assume you were doing this on a domestic machine? It can be scary, but it can be a lot of fun, too, to step out of our safety zone, especially when it turns out so beautifully! Nice touch with the circles inside the paisleys! 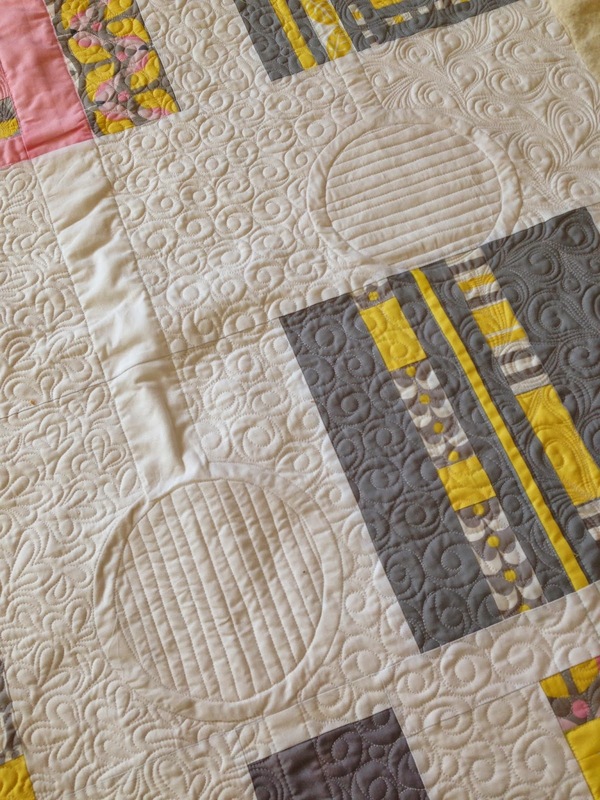 And the circle idea was perfect for this quilt. 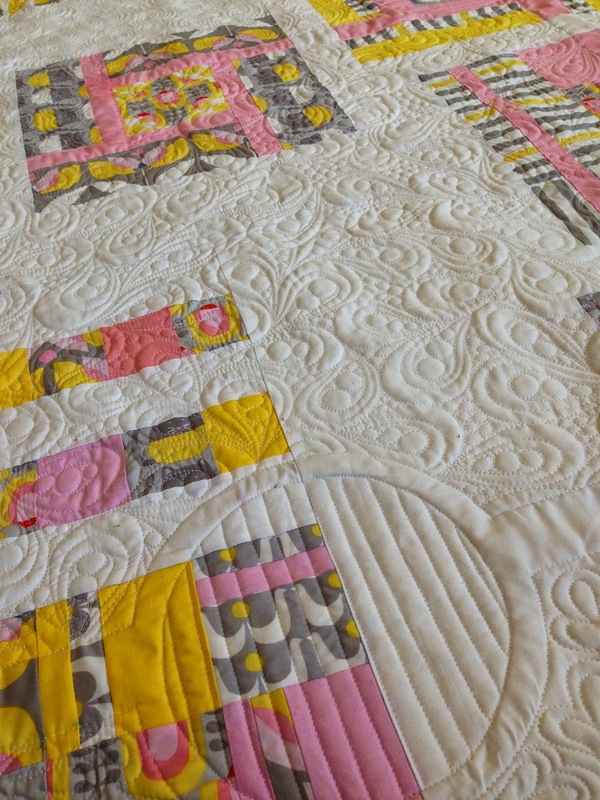 Really beautiful quilting, someone is going to be lucky to get that quilt! 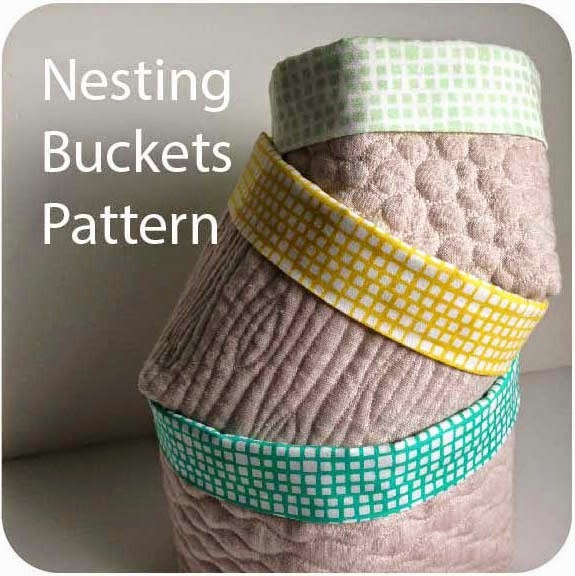 I love the circles ~ something I want to try! An absolutely fabulous job. 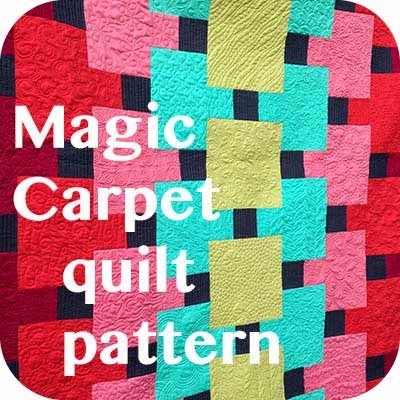 I am a long arm quilter and I'm always amazed and impressed with what others do on a domestic machine. This blew me away! Those circles are great. 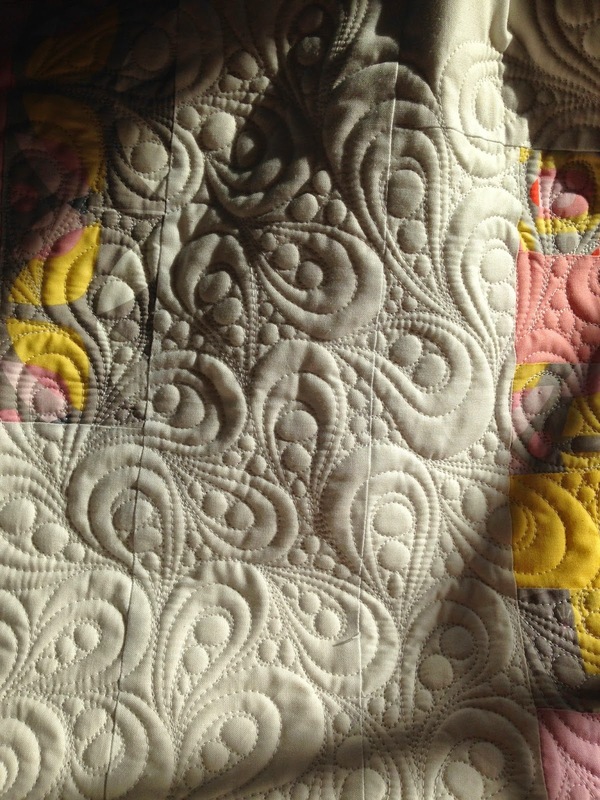 And I really love the close up in the sun of (what I am calling) the peapod paisley. I am impressed and awed that this was accomplished on a domestic machine. Thank you for sharing and inspiring! 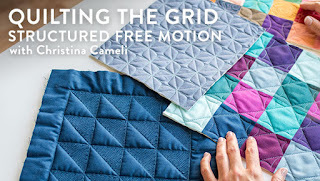 This was a great way to solve a tricky quilting problem and it turned out so beautifully Christina! 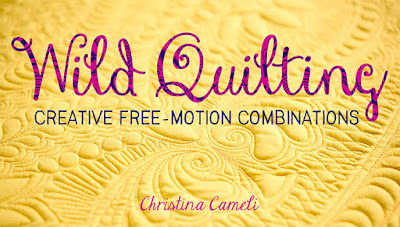 Well met - Your quilting designs are so beautiful - they really enhance the quilt - and on a home machine, too! You are doing it! Such great FMQing. Well done! 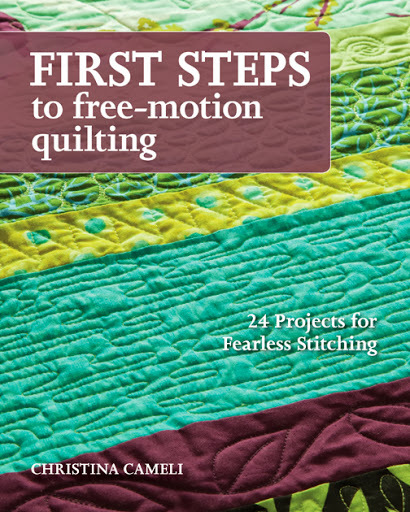 Great design for the quilting on this project. That is so difficult, planning how to quilt something. You did gorgeous work here. So pretty. How exciting! This turned out wonderfully. Congrats on a finish. Absolutely love this design, did you quilt the paisleys and then fill in the pebbles? The pipes idea was inspired! Great job kiddo!